ACCESS TO THIS WEBSITE (OR PORTIONS THEREOF) AND THE USE OF INFORMATION, MATERIALS, PRODUCTS, OR SERVICES PROVIDED THROUGH THIS WEBSITE (OR PORTIONS THEREOF), IS NOT INTENDED, AND IS PROHIBITED, WHERE SUCH ACCESS OR USE VIOLATES APPLICABLE LAWS OR REGULATIONS. The terms “Crocs,” “we,” “us,” and “our” refer to Crocs Singapore Pte. Ltd. The term “Feedback” refers to the Content you post on or through this Website that is specifically about how we can improve this Website and the products and services we make available through this Website. The terms “Personally Identifiable Information” and “PII” refer to individually identifiable information about you that could permit one to identify or contact you. Examples of PII include your name, address, and email address. The term “User-Generated Content” refers to all of the text, photographs, images, illustrations, graphics, sound recordings, video, audio-video clips, and other material that you post on or through our Website using the social networking tools we make available to you and that does not constitute Feedback. One way that User-Generated Content differs from other information you provide to us is that, once submitted, User-Generated Content is made available instantaneously to others. Examples of User-Generated Content are information you provide as part of a promotion and comments you make in response to a blog or social media post; Feedback is also considered User-Generated Content. The term “Website” refers to crocs.com, including the Crocs online store, which is owned by Crocs Inc. and operated by Crocs Singapore Pte. Ltd. The terms “you” and “your” mean any user of this Website. All references on this Website to information, materials, products, and services apply to information, materials, products and services available in the countries or jurisdictions specified with respect to such information only, unless otherwise stated. Nothing in this Website constitutes an offer to buy or sell our products or services in any jurisdiction. Unless otherwise indicated, this Website and all of its Content are protected under applicable copyrights, trademarks and other proprietary (including, but not limited to, intellectual property) laws, including without limitation those of the United States and Singapore, and all Content and intellectual property rights therein are the property of Crocs or the material is included with the permission of the rights owner and is protected pursuant to applicable copyright and trademark laws. ALL RIGHTS RESERVED. The posting of any Content on this Website does not constitute a waiver of any right in such Content. You do not acquire ownership rights to any Content viewed through this Website. Except as otherwise provided herein, none of this Content may be used, copied, reproduced, distributed, republished, downloaded, modified, displayed, posted or transmitted in any form or by any means, including, but not limited to, electronic, mechanical, photocopying, recording, or otherwise, without our express prior written permission. Permission is hereby granted to the extent necessary to lawfully access and use this Website and its Content to display, download, archive and print in hard copy, portions of this Website on a temporary basis and for your individual use only, provided you do not modify the materials and that you retain any and all copyright and other proprietary notices contained in the materials. 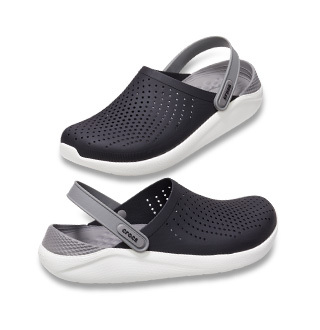 The Crocs logo, all product names, all page headers, all custom graphics, all button icons, all trademarks, service marks and logos appearing on this Website, unless otherwise noted, are service marks, trademarks (whether registered or not) and/or trade dress of Crocs (the “Marks”). All other trademarks, product names, company names, logos, service marks and/or trade dress mentioned, displayed, cited or otherwise indicated on the Website are the property of their respective owners. You are not authorized to display or use the Marks in any manner without our prior written permission. You are not authorized to display or use trademarks, product names, company names, logos, service marks and/or trade dress of other owners without the prior written permission of such owners. The use or misuse of the Marks or other trademarks, product names, company names, logos, service marks and/or trade dress or any other materials contained herein, except as permitted herein, is expressly prohibited. You are responsible for User-Generated Content that you post. Under no circumstances will we be liable in any way for any User-Generated Content. Because we do not control the User-Generated Content posted on or through this Website, we cannot and do not warrant or guarantee the truthfulness, integrity, suitability, or quality of that User-Generated Content. You also agree and understand that by accessing this Website, you may encounter User-Generated Content that you may consider to be objectionable. We have no responsibility for any User-Generated Content, including without limitation any errors or omissions therein. We are not liable for any loss or damage of any kind you may claim was incurred as a result of the use or dissemination of any User-Generated Content posted, emailed, transmitted or otherwise made available on or through this Website. The User-Generated Content posted on or through this Website expresses the personal opinions of the individuals who posted it and does not necessarily reflect the views of Crocs or any person or entity associated with Crocs. You own User-Generated Content, but we may use it. You own the copyright in any original User-Generated Content you post. We do not claim any copyrights in User-Generated Content. However, by using this Website you are granting us and our subsidiaries, affiliates, successors and assigns, a nonexclusive, fully paid, worldwide, perpetual, irrevocable, royalty-free, transferable license (with the right to sublicense through unlimited levels of sublicensees) to use, copy, modify, distribute, publicly display and perform, publish, transmit, remove, retain repurpose, and commercialize User-Generated Content you post in any and all media or form of communication whether now existing or hereafter developed, without obtaining additional consent, without restriction, notification, or attribution, and without compensating you in any way, and to authorize others to do the same. For this reason, we ask that you not post any User-Generated Content that you do not wish to license to us, including any photographs, videos, confidential information, or product ideas. terminate your access to and use of this Website, or to modify, edit or block your transmissions thereto in our sole and absolute discretion. Violation of copyrights. 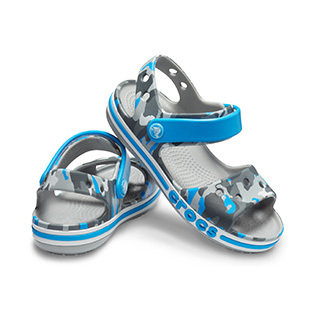 Crocs does not knowingly violate or permit others to violate the copyrights of others. We will promptly remove or disable access to material that we know is infringing or if we become aware of circumstances from which infringing activity is apparent. where you believe there is copyright infringement under Singapore law, a statement by you agreeing to submit to the jurisdiction of the courts in Singapore. To the extent that the alleged infringement is governed by the Singapore Copyright Act (Cap. 63) as applicable to network service providers, please notify us immediately in the form and containing the information prescribed by the Singapore Copyright Act (Cap. 63) and the Copyright (Network Service Provider) Regulations. Any notification by a copyright owner or a person authorized to act on its behalf that fails to comply with requirements of the DMCA or Singapore Copyright Act and the Copyright (Network Service Provider) Regulations as applicable to us shall not be considered sufficient notice and shall not be deemed to confer upon us actual or constructive knowledge of facts or circumstances from which infringing material or acts are evident. Although we do not claim ownership of User-Generated Content you post using this Website, the Feedback you provide to us through this Website will be and remains our exclusive property. Your submission of Feedback will constitute an assignment to us of all worldwide rights, title and interests in your Feedback, including all copyrights and other intellectual property rights in your Feedback. We will be entitled to reduce to practice, exploit, make, use, copy, disclose, display or perform publicly, distribute, improve and modify any Feedback you submit for any purpose whatsoever, without restriction and without compensating you in any way. For this reason, we ask that you not send us any Feedback that you do not wish to assign to us. This Website may contain links and/or advertisements to other websites maintained by us in addition to links to websites maintained by unrelated companies and persons. An advertisement of, or link to, a non-Crocs website does not mean that we approve, endorse or accept any responsibility for that website, its content or use, or the use of products and services made available through such website. WE MAKE NO REPRESENTATIONS OR WARRANTIES WITH RESPECT TO THIS WEBSITE OR ITS CONTENT, WHICH ARE PROVIDED FOR USE "AS IS" AND ON AN "AS AVAILABLE" BASIS. WE DISCLAIM ALL WARRANTIES, EXPRESS OR IMPLIED, INCLUDING WITHOUT LIMITATION THE IMPLIED WARRANTIES OF TITLE, NON-INFRINGEMENT, MERCHANTABILITY, QUALITY AND FITNESS FOR A PARTICULAR PURPOSE, WITH RESPECT TO THIS WEBSITE AND ANY WEBSITE WITH WHICH IT IS LINKED. WE DO NOT WARRANT THAT THIS WEBSITE, ITS SERVERS OR EMAIL SENT FROM US WILL BE FREE OF ANY HARMFUL COMPONENTS (INCLUDING VIRUSES). WE ALSO MAKE NO REPRESENTATIONS OR WARRANTIES AS TO WHETHER THE INFORMATION ACCESSIBLE VIA THIS WEBSITE, OR ANY WEBSITE WITH WHICH IT IS LINKED, IS ACCURATE, COMPLETE, OR CURRENT. WE DO NOT PROVIDE ANY REPRESENTATIONS OR WARRANTIES AGAINST THE POSSIBILITY OF DELETION, MISDELIVERY OR FAILURE TO STORE COMMUNICATIONS, PERSONALIZED SETTINGS, OR OTHER DATA. YOU ACCEPT AND AGREE THAT OUR SHAREHOLDERS, OWNERS, OFFICERS, DIRECTORS, EMPLOYEES AND OTHER REPRESENTATIVES SHALL HAVE THE BENEFIT OF THIS CLAUSE. To the fullest extent permitted by applicable laws we, on behalf of our officers, directors, employees, agents, suppliers, and contractors, exclude AND DISCLAIM liability for any losses and expenses of whatever nature and howsoever arising including, without limitation, any direct, indirect, special, punitive, or consequential damages, loss of use, loss of data, loss caused by a virus, loss of income or profit, loss of or damage to property, claims of third parties, or other losses of any kind or character, even if we have been advised of the possibility of such damages or losses, arising out of or in connection with the use of this website or any website with which it is linked. You assume total responsibility for establishing such procedures for data back up and virus checking as you consider necessary. THIS LIMITATION OF LIABILITY APPLIES WHETHER THE ALLEGED LIABILITY IS BASED ON CONTRACT, NEGLIGENCE, TORT, STRICT LIABILITY OR ANY OTHER BASIS. Your account, including your username and password, are personal to you and may not be used by anyone else. You are responsible for maintaining the confidentiality of your password and username and are fully responsible for all activities that occur under your password or username by you or by anyone else using your username and password, whether or not authorized by you. You agree to immediately inform us of any apparent breaches of security such as loss, theft or unauthorized disclosure or use of your username or password (contact Crocs at customerservice_sg@crocs.com) and until we are so notified you will remain liable for any unauthorized use of your account. You agree that we may invoice you and/or bill your credit card when we make the goods you purchased available for shipment at our distribution center and you agree to pay for such goods unless you return them pursuant to our Return Policy. For more information regarding your order, please visit our customer service homepage. You agree to use the Website in a manner consistent with any and all applicable rules and regulations. You agree not to upload or transmit through the Website any computer viruses, trojan horses, worms or anything else designed to interfere with, interrupt or disrupt the normal operating procedures of a computer. Any unauthorized modification, tampering or change of any information, or any interference with the availability of or access to this Website is strictly prohibited. Crocs reserves all rights and remedies available to it. Your indemnification obligation does not apply in the State of New Jersey for any claim, liability, loss, expense or demand, including legal fees, arising out of Crocs’ own negligence. You hereby consent and waive all objections to the exclusive jurisdiction of the federal and state courts in Singapore and venue therein to resolve any controversy or claim of whatever nature arising out of or relating to use of this Website. However, we retain the right to bring legal proceedings in any jurisdiction where we believe that infringement of this agreement is taking place or originating.